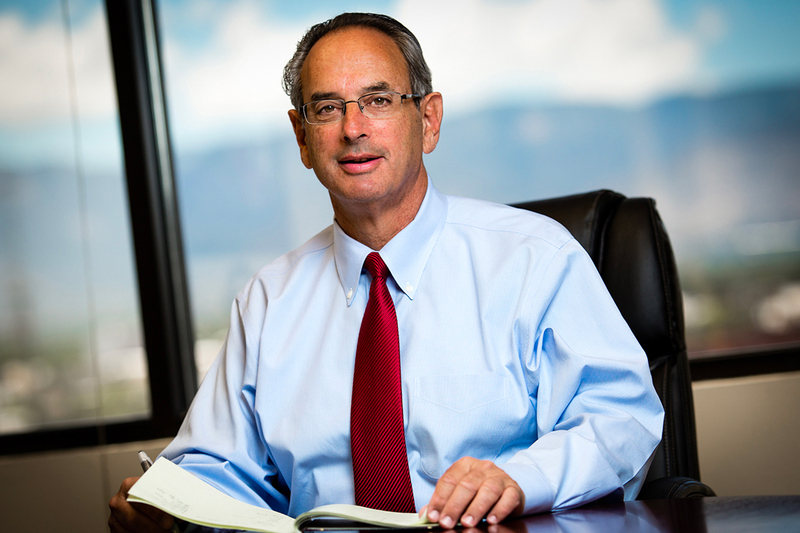 Ron Stern oversees the operations of the Lovelace Health System of Albuquerque, N.M., which is comprised of Lovelace Medical Center, Heart Hospital of New Mexico at Lovelace Medical Center, Lovelace Rehabilitation Hospital, Lovelace Women's Hospital, Lovelace Westside Hospital, Lovelace Regional Hospital-Roswell and Lovelace Medical Group. Prior to joining Lovelace in 2005, Mr. Stern served as CEO of Century City Hospital and Midway Hospital Medical Center in Los Angeles, Calif. In this role, he led two acute care hospitals in adjoining communities, serving distinctively different patient populations. He has also led Palmetto General Hospital in Hialeah, Fla., Wyoming Valley Health Care System in Wilkes-Barre, Pa., and Nesbitt Hospital Foundation in Kingston, Pa.
Mr. Stern received his master’s degree in health care administration from George Washington University in Washington, D.C. and his bachelor’s degree from Baruch College, the City University of New York (CUNY), in New York, N.Y.